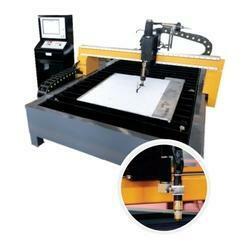 Sai Weld India is a manufacturer for CNC plasma cutting machines. 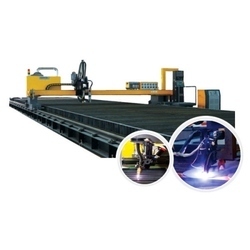 We are the foremost company for providing CNC Plasma Cutting machines.Our offered machines are designed and manufactured by our professional Engineers, using high grade components and advanced technology with compared to the industry quality standard at vendors end.Clients can avail this machine from us at market leading prices. The ArtMaster series CNC plasma cutting machine combines high speed cutting with accuracy and precision using a space efficient integrated cutting table design which makes for fast and easy installation. Linear Guide:, are paired with a rack and pinion drive mechanism for smooth and accurate motion, supported by a powerful Yaskawa Sigma Series AC Servo System equipped witl precision planetary gearboxes. Available with various plasma system makes and models to suit the intended use. Various torch height control systems are available in an: voltage, capacitive, and mechanical configurations, ant the torch positioner can be either motorized or pneumatic. Ideal for cutting thinner materials, perfect for sheet metal, mild steel aluminum or stainless steel. 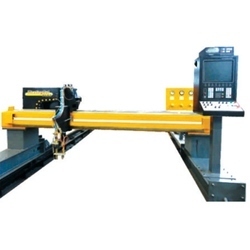 Single Side drive is standard, with optional dual side gantry drive available for high precision applications. 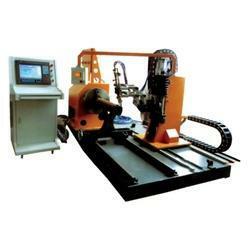 Cutting the workpiece material Carbon steel, Stainless stee, Alloy steel, nonferrous metals etc. Today’s robots, with improved accuracy and calibration methods, permit exceptional off-line programming of cutting paths. 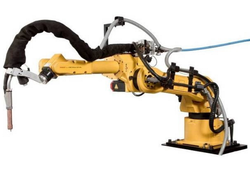 Six-axis robots provide the flexibility and precision required for cutting applications. To date, this might have been considered a niche market when compared to 2D sheet cutters, however robots provide unique capabilities for part recognition through vision, six degrees of freedom for bevel control, and for part load and unload. Direct or point-to-point teaching is an effective programming method when fine tuning or adjustments are required. 20 Wait time for load and unload.